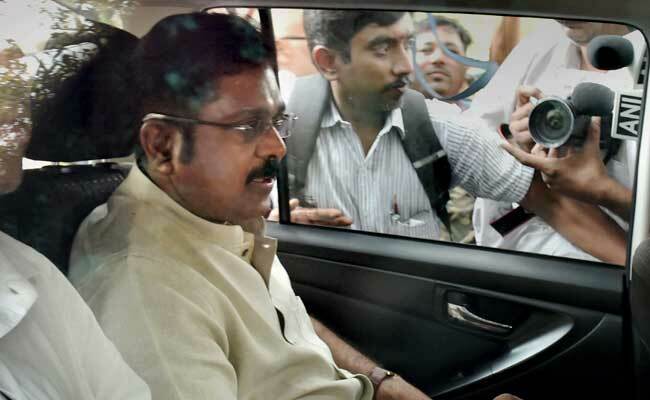 Sidelined AIADMK leader T T V Dhinakaran today said a video purportedly showing former chief minister J Jayalalithaa in a hospital was a "private" one shot by her confidante V K Sasikala and claimed it was released by an aide without his knowledge. Breaking his silence on the issue a day after the video was released by a loyalist, Dhinakaran claimed that top functionaries of the ruling AIADMK, including chief minister K Palaniswami, were aware of its existence. Dhinakaran said he was "disappointed" over his key aide P Vetrivel releasing it. "It is a private video...shot by Chinnamma (Sasikala) on the request of Amma (Jayalalithaa) who wanted to know how she looked," he told reporters here. Dhinakaran said the video was shot in November last year. He said he had received the video from Sasikala (his aunt) prior to her leaving for Bengaluru to serve a four-year jail term in connection with the Rs 66.66 crore disproportionate assets case. The former MP also claimed that many senior party functionaries had earlier urged Sasikala to release the video but she had refused. The video had not been released as "Amma was in a nightie", he said. "I am disappointed because the video should not have been telecast in public .. he (Vetrivel) has suddenly released it without our knowledge," the sidelined leader said. Vetrivel told him he had released the purported video due to "mental agony," Dhinakaran said, adding he had done so with a view to "protect his present leader," i.e Sasikala. He also denied Vetrivel doing it with any intention of deriving "political mileage," referring to today's bypoll to the RK Nagar Assembly seat, where Dhinakaran is an independent candidate. Dhinakaran, however, said he will submit the video before an inquiry commission probing the circumstances leading to the hospitalisation, medical treatment provided to the late Jayalalithaa and her death, if he was summoned. The 20-second video aired by TV channels showed a frail looking Jayalalithaa in a nightdress and sipping what appeared to be a health drink with a straw. AIADMK had hit out at Sasikala's family, saying the video release was a "conspiracy" and a "demeaning" act with an eye on today's bypoll. The byelection is considered an acid test for the ruling dispensation since it was the first such excercise since Jayalalithaa's death on December 5 last year. Suspicions have been raised over circumstances leading to Jayalalithaa's death by several persons, including now deputy chief minister O Panneerselvam and his followers. The state government has appointed a retired Madras High Court judge, Justice A Arumughaswamy, as the one-man commission of inquiry to look into the circumstances leading to her death. Vetrivel had said yesterday he released the video on his own "out of mental agony" and that Dhinakaran later called him and asked me why he had done so. The Election Commission had filed a police complaint saying the video release violated the model code and the Representation of People Act. The one man commission had also filed a police complaint against Vetrivel, seeking action against him. It had alleged he intentionally released the video to "degrade" it and to create law and order problems.